Unlike the conflict in Vietnam, few photographic documents exist from the period of the Algerian War (1954 - 1962). Algeria's War of Independence from France officially lasted almost a decade, but its genesis goes back to the early 40s. It was one the bloodiest struggles against a brutal colonial power with over a million Algerians killed, with thousands interned in concentration camps. 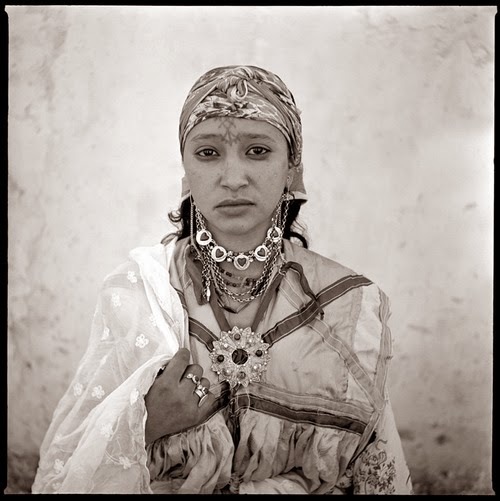 Marc Garanger’s Algerian Women is one of the few photographic essays dedicated to that painful period. 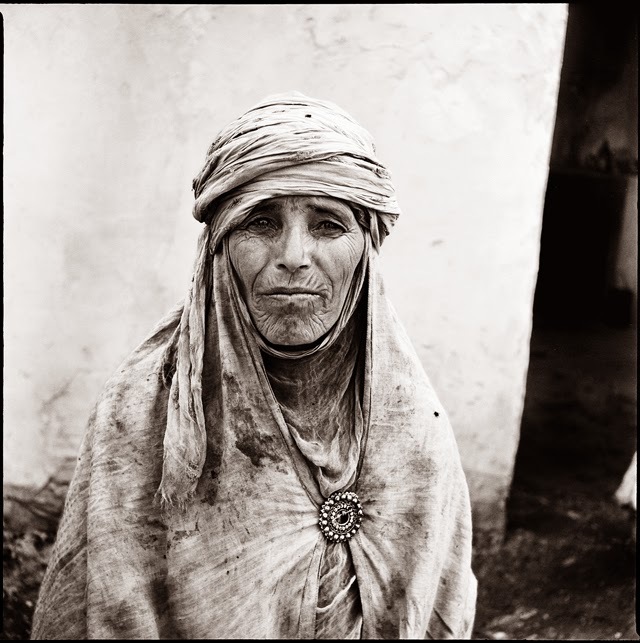 In 1960, Garanger, a 25-year-old draftee who had already been photographing professionally for ten years, landed in Kabylia, in the small village of Ain Terzine, about seventy-five miles south of Algiers. Like many politically engaged young men, he had put off his departure for the army as long as possible, hoping that the war would end without him. He was soon selected as his regiment’s photographer. "In 1960, I was doing my military service in Algeria. The French army had decided that the indigenous peoples were to have a French identity card. I was asked to photograph all the people in the surrounding villages. I took photographs of nearly two thousand persons, the majority of whom were women, at a rate of about two hundred a day. The faces of the women moved me greatly. They had no choice. They were required to unveil themselves and let themselves be photographed. They had to sit on a stool, outdoors, before a white wall. I was struck by their pointblank stares, first witness to their mute, violent protest." 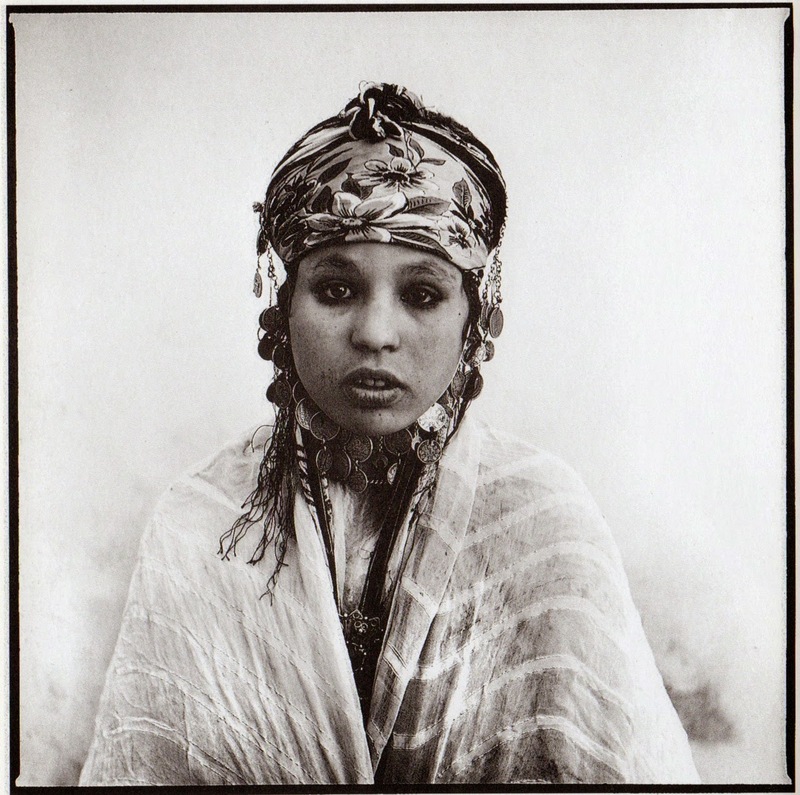 Fifty years after Algeria’s independence was proclaimed, Garanger’s contested portraits have not lost their strength. 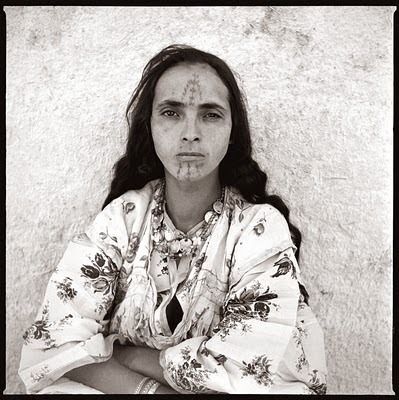 When he went back to Algeria in 2004 to meet those he had photographed, he found that the pictures he had taken were often the only ones that the women ever had of themselves, and they welcomed his return: he had become the keeper of their memory.